Wellspring is a living and worshipping church set within the whole Wirksworth community; hence our vision is to see our premises become a community building within which worship and prayer also take place. 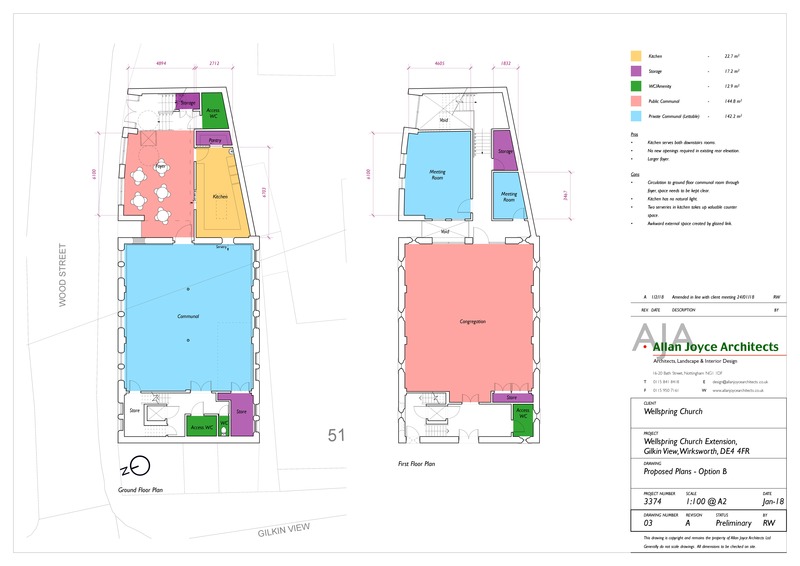 To be an asset to the town community and to the church we aim to provide more gathering spaces of varying sizes, an enlarged, modern kitchen and a café space visible from the street. In particular, we wish to create an inviting entrance with good accessibility to all spaces. 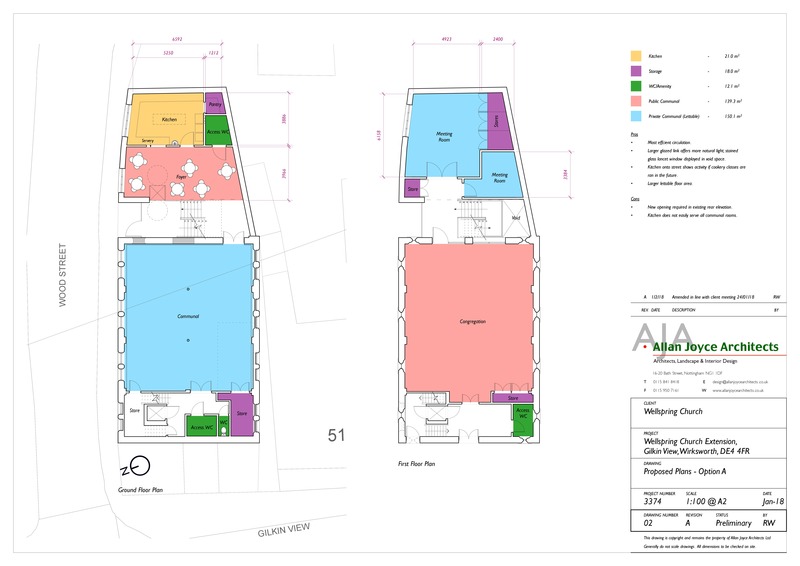 Our small car-space behind the church has been identified as a suitable, though small, site into which a building can be positioned and connect on ground and first floor to the main (present) building. So our vision and hopes and dreams can be achieved by enlarging our premises and building an annexe. The initial plans (option A available here and option B here) are, at this stage, simply a work in progress. The plans are also in our 'Church Reports' page. We want to 'get it right' and that will be helped by feedback from those who are most likely to use the building once completed. We have now got planning permission and grant applications are being submitted to enable us to reach the required total sum - probably in the region of £500000. Wellspring people themselves are raising funds - bit by bit....that's the way to reach the total, one mouthful at a time.